Johan is a Director and member of the Investment and Divestment Asia Committee of PIDG Ltd.. He previously served as a Director of the Emerging Africa Infrastructure Fund (EAIF). He is currently director of London-based DTEK Finance Plc as well as a managing partner of Iveaghouse Capital Investment Advisors B.V., an investment boutique advising energy companies on corporate strategy, investment finance, mergers and acquisitions and renewable energy. He serves as non-executive director on the supervisory boards of Metinvest B.V., as well as DTEK Energy B.V., DTEK Grids B.V. and DTEK Renewables B.V. Johan has previously held senior executive positions with CapAsia, Darby Private Equity, Franklin Templeton Investment Austria, the Harvard Institute for International Development and Dutch Ministry of Foreign Affairs. 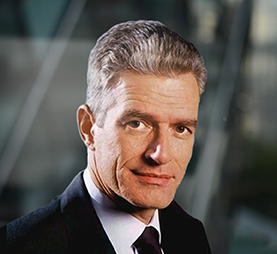 Johan also held senior management positions with the European Bank for Reconstruction and Development in London including a role as Head of the Infrastructure and Energy Utilities Group.